Record, submit, track and approve business expenses on the go without the need to power up your computer. Add your expense claims as they happen and never miss a receipt again. Expenses Mobile from Selenity allows you to manage the entire claim process in the palm of your hand, from submitting your full claim with digital receipts, to the one click approval. In addition, the GPS mileage technology enables pinpoint accuracy so you can effortlessly record your journey, saving you time and reducing error. Simply log, snap and send. Build your claim as it happens, take a picture of the receipt and approve claims. All taken care of on your mobile. 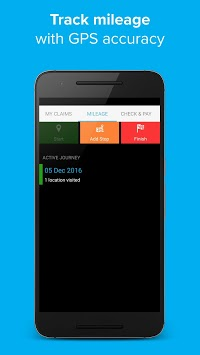 •	Quick, accurate and secure claim entry. •	Receipt upload from your phone gallery. •	Checks to stay within company policy. •	Postcode to postcode look-up. •	Record locations with GPS technology. •	Flagged out of policy claims. •	Submit for approval without needing to log on to Expenses online. •	Claims routed instantly to managers for approval. •	One click approval of claims. •	Full status history of submitted and previous claims. Expenses Mobile replicates the entire claim and approval process of Selenity’s award winning Expenses; the most configurable employee expenses solution designed to reduce time and costs and increase productivity amongst payroll and finance teams. The receipt imaging feature on the app allows you to attach the receipt to the claim instantly, preventing receipts from getting lost or forgotten. GPS technology pinpoints your exact start and stop location to accurately calculate the distance travelled by employees, managers can be assured that claims are 100% accurate with no need to double-check. 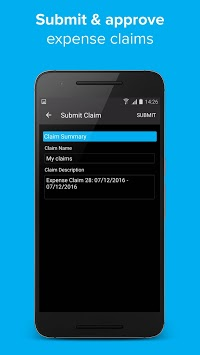 Increasing efficiencies further, functionality within the app not only allows claims to be reviewed by the approver on the go, one click approval allows for claims to be approved or returned to the claimant for further information at the touch of a button. 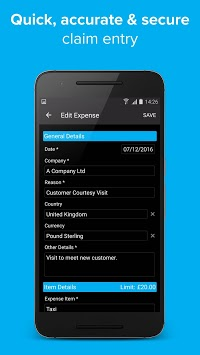 With the ever-expanding functionality of Expenses and the improved user experience of Expenses Mobile, you have everything you need to seamlessly manage your whole expenses process, in the office or on the go! Download now and login with your online Expenses account to start claiming your expenses. App crashed when adding a receipt using a Samsung Galaxy A3 or A5.